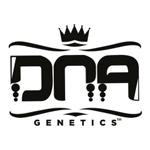 DNA Genetics - 91 Krypt - Chem 91 x Capt Krypt OG. Free US delivery. This is a Power strain that is just CRAZY! Bringing these siblings together is just wrong, but creating the ULTRA HIGH THC% with great flavor and great medicinal values had to be done! This is a very limited release and will move very fast. The hailed Chem 91' is a powerhouse strain on its own and adding this to our famed male Capt. Krypt OG made this unbelievable hybrid a must for any medicinal garden that needs strength as well as hunger stimulation.